Unit Text: "B" Coy. Hood Bn. R.N. Div. 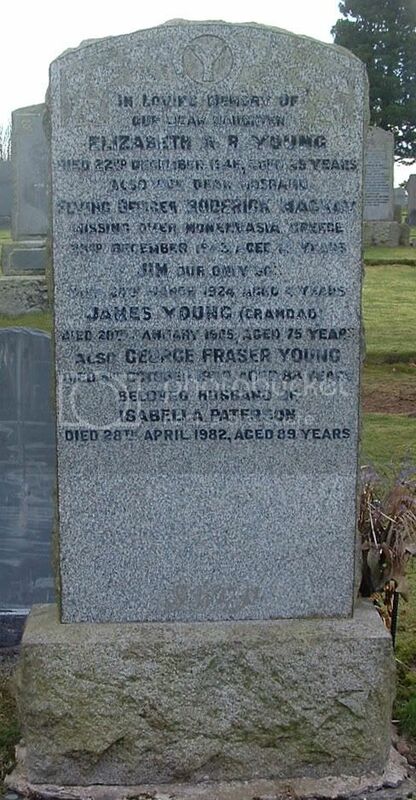 Additional information: Son of James and Elizabeth B. Kincaid, of East Lodge, Lennoxtown, Stirlingshire. 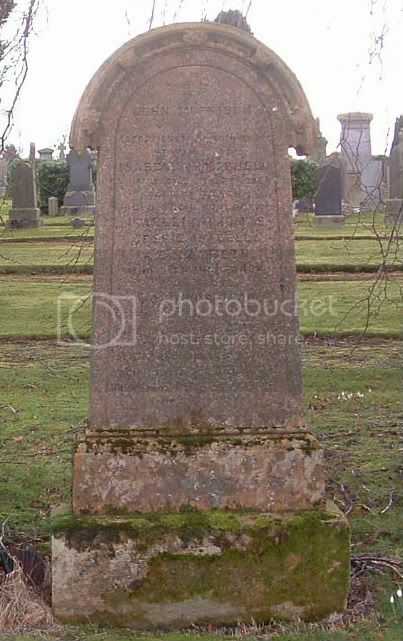 Grave/Memorial Reference: Addenda Panel, Pier and Face 4 C.
Additional information:	Son of John and Dolina Margaret Mackay, of Lennoxtown, Stirlingshire; husband of Elizabeth Mackay (nee Young). 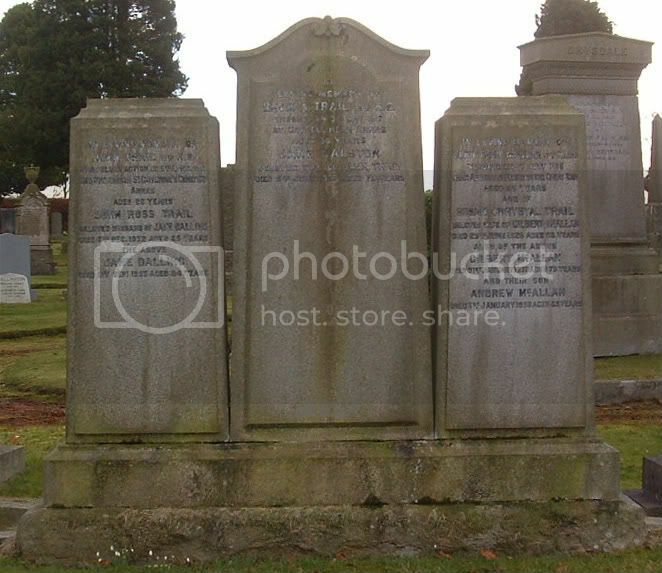 Grave/Memorial Reference:	Joint grave 21. B. 17-18. Additional information:	3rd Bt. Son of Sir Norman MacLeod, 2nd Bt., and of Lady MacLeod (nee Brusati), of Glasgow. Grave/Memorial Reference:	II. C. 12. Stone also commemorates NORMAN MacLEOD, D.S.O., Major 13 Sikhs, grandson of Norman MacLeod, D.D. Unit Text:	70th Siege Bty. Additional information:	Son of Robert and Alice Macpherson (nee Considine), of "Glorat," Milton of Campsie, Stirlingshire. Grave/Memorial Reference:	I. D. 12. 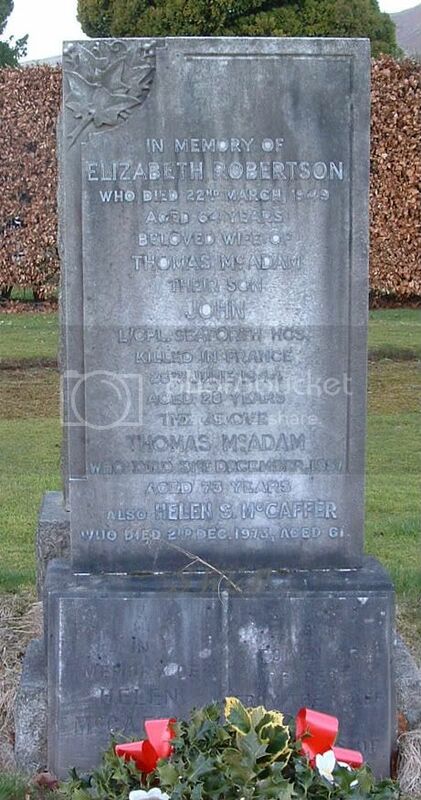 Additional information:	Son of Thomas and Elizabeth McAdam (nee Robertson), of Lennoxtown, Stirlingshire. Grave/Memorial Reference:	VI. D. 16. Unit Text:	"B" Bty. 110th Bde. Thanks to 'kinnethmont' for finding the above CWGC entry. Unit Text:	H.Q. Coy. 7th Bn. 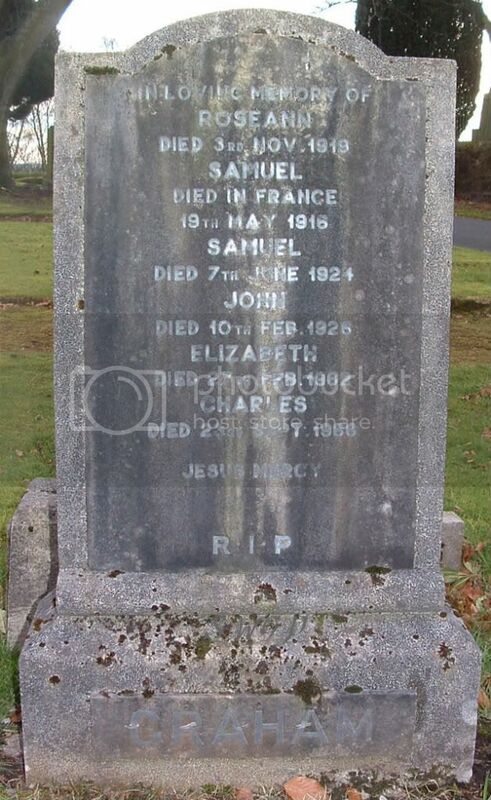 Additional information:	Son of Mary and the late John Pollock, of French Mill, Milton of Campsie, Glasgow. Grave/Memorial Reference:	X. D. 13. Grave/Memorial Reference: XI. D. 14. 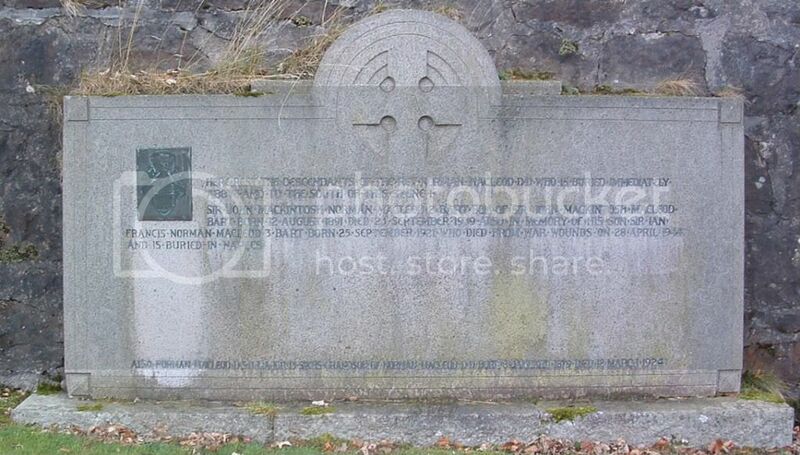 Listed on Lennoxtown Civic Memorial as Francis Robinson, but on the family gravestone as Robertson? 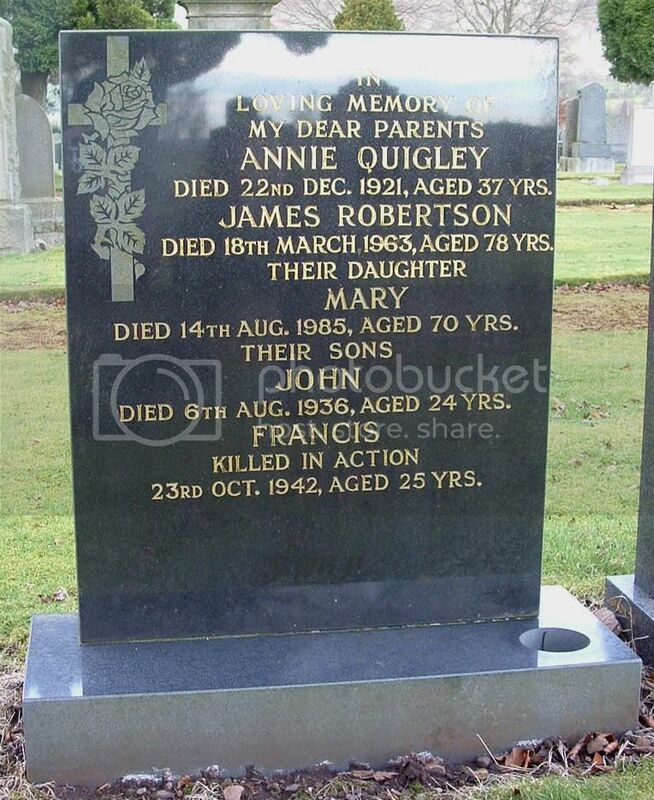 I think this is definately the correct man - matching date of death, mother's maiden surname as middle name - but which is correct, Robertson or Robinson? Grave/Memorial Reference:	II. F. 19. Additional information:	Son of John and Mary Sangster (nee Paterson), of High Kilwinet, Campsie Glen, Stirlingshire. Grave/Memorial Reference:	II. C. 1. 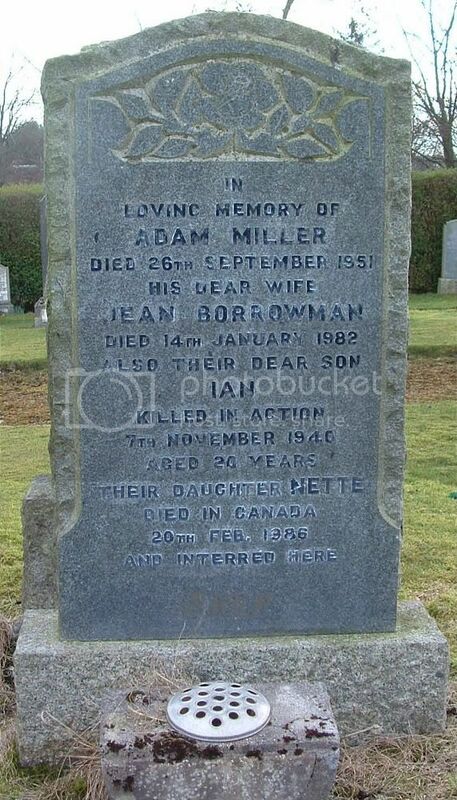 Additional information:	Son of Alexander and Jean Trail, of the Square, Cornhill, Biggar, Lanarkshire. 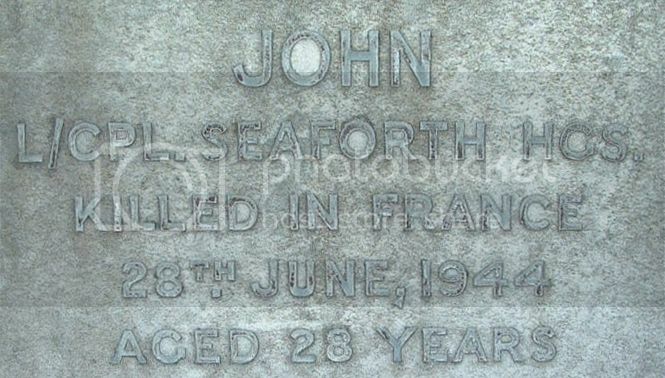 Additional information:	Son of John and Jane Trail (nee Dalling), of 29, Laurel Street, Partick, Glasgow. 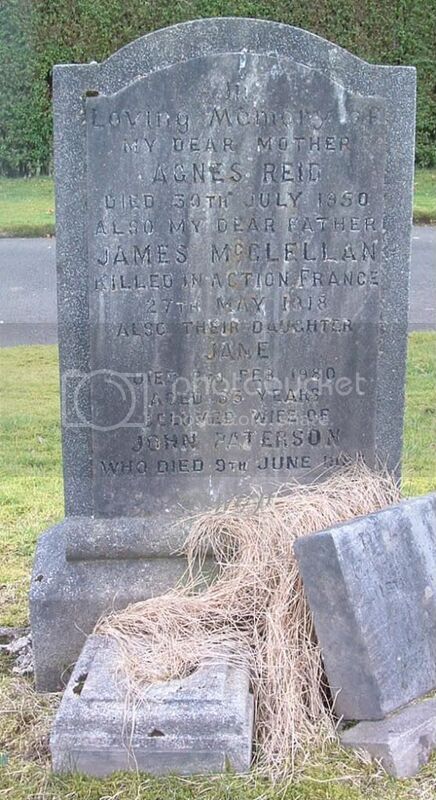 Additional information:	Son of Gilbert and Susan McAllan, of Arkyll, Lennoxtown, Glasgow.